Isn’t she just a treasure! 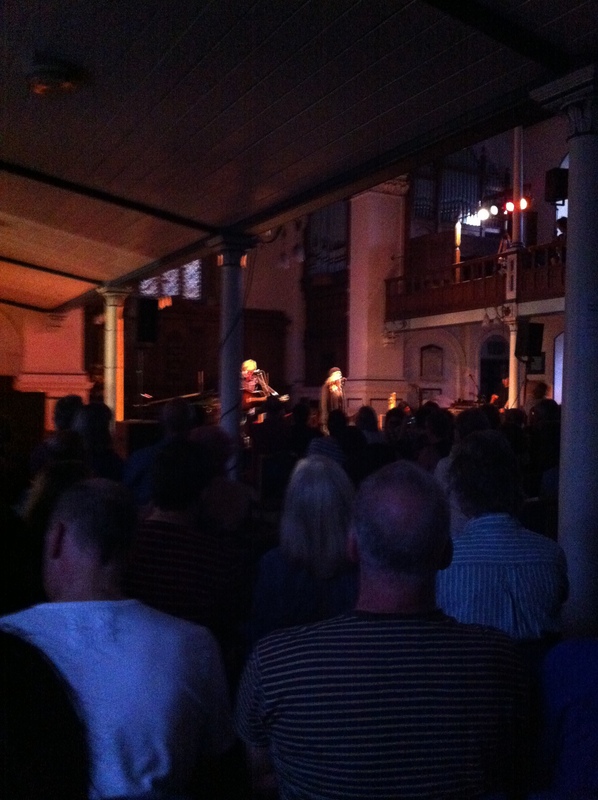 On Friday night Patti Smith controlled St Georges Church for a full 90 minutes with a Words & Music show. For me it is my preferred show of hers, not that you get the chance that often to see it – you get an intimacy and experience the power and music in her delivery which gets lost when she plays loud and heavy. Tonights 3 readings were from her book and related to her relationship with Robert Mapplethorpe – I found them really moving. She also paid her respects to one of my heroes Jerry Garcia (Grateful Dead), whose birthday was on the 1st August and Friday was the 18th anniversary of his passing. She was supported by Tony Shanahan, Patrick ? on violin and Andy Newmark on Drum. This entry was posted in Music and tagged Music, Patti Smith, Robert Mapplethorpe. Bookmark the permalink. Andy Newmark has been one of my favorite drummers for a very long time. Sounds like a very interesting concert. Yes it was not the normal concert – Andy N came on part way through the gig with what looked like one drum that he bought with him from home – apparently he lives near Brighton and was invited following meeting PS at the Meltdown festival.